We get more lycopene (a potential depression, heart disease and cancer fighting red pigment) per gram from cooked tomatoes compared to raw. It may also be important to add a little bit of fat to your meal when eating foods such as tomatoes to maximize the body’s absorption of fat-soluble phytonutrients. Supplements are not an effective source of these phytonutrients. Surprisingly, tomato juice actually has twice the antioxidant power of regularly consuming tomatoes and may have an anti-inflammatory effect, which may help athletes recover after exercise and reduce asthma. Tomato juice concentrate is also the highest source of potassium, which may help prevent the risk of stroke. Eating vegetables (including tomatoes) with every meal decreases the level of oxidation. The yellow pigment found around tomato seeds inhibits platelet activation without affecting clotting, which may explain why eating tomato products is associated with lower cardiac mortality. One can make family dinners healthier by turning tomatoes and other vegetables into a paste and adding it into a child’s favorite foods. 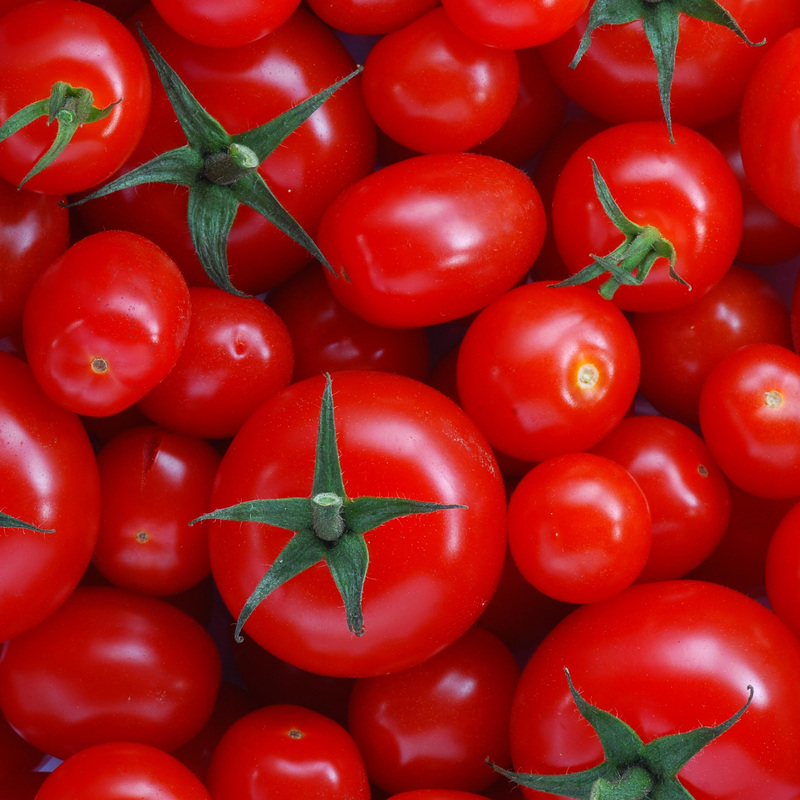 For most cancers, tomatoes have not been found to suppress tumor cell growth. The lycopene in tomatoes, however, may be protective against prostate cancer and cervical cancer. Cooking acidic foods like tomato sauce in an aluminum pot is not advised, as eating aluminum has been linked to neurodegenerative diseases such as Alzheimer’s. Interestingly, at one point in American history the tomato was widely believed to be poisonous rather than healthful. This explains the origin of the “tomato effect,” a term used to describe the denial by the medical establishment of highly effective therapies because they go against the conventional wisdom.